Could it be that the apparent decline in educational standards in Literacy and Numeracy here in Australia is just a temporary aberration? Could it that a few simple decisions — applied within just weeks — could bring about a genuine lift in student (and teacher) outcomes in these two vital curriculum areas? And, could it be that significant improvement, not only in academic performance, but also in developing all-important positive attitudes to learning in primary schools, could come at NO additional financial cost? Just better stewardship of the funding that’s already there? Well, the answers are “Yes, Yes, Yes and Yes”. Students want it, teachers want it, Principals want it, parents want it, and the community would relish it! So, let’s support curriculum innovation that makes the very BEST use of the skills, enthusiasm and commitment of today’s teachers, by providing them with curricula that actually allows time for the “Big C” — consolidation — to take place in the classroom. Let’s encourage everyone to move from the known to the unknown, and by giving them the time and tools to help new learning “mature” in their minds. Not difficult! Not expensive! Just SOUND pedagogical practice. Maths lessons tend to be quite predictable. Follow the curriculum set way back at the start of the school year. Relevant or not! Helpful or not. Boring, or not. But then . . . along comes some real-life event that interests everyone — yes, EVERYONE! And what do Maths lessons do? Well, nothing new, usually. You see, each week we write and email out Maths resources DIRECTLY RELATED TO REAL-LIFE HAPPENINGS. And not just current affairs! Often they are about the latest movie releases for children, or the latest pop tunes, or the top-of-the-ratings TV shows, or sporting heroes, or the weather, or . . . whatever! Things that interest EVERYONE. But with a worded Maths question attached. Fun. Stimulating. Positive Maths! You’ll never know how helpful these resources could be in YOUR CLASSROOM unless you try them out — FREE — and share them with your teaching colleagues, and chat about them in the Staffroom. All we can do is encourage you to take a look at these worded maths problems. Tens of thousands of students Australia-wide are using them each and every school week. Could they help YOU and YOUR CLASS? We all knew our tables! We all knew how to add, subtract, multiply and divide — in our heads! Mental arithmetic! We all could quickly estimate measurements, weight, time. WE ALL ENJOYED MATHS — well, sort of enjoyed it! And the end of each month bought a series of tests, which we did in our “Test Book”, which Mum and Dad had to sign. Well, we’re bringing back a love of Maths. Yes, a real, genuine interest in this vital subject. Visit http://www.Edshop.net.au for full info, and a FREEBIE offer. No fuss, no bother, no obligation, no credit card details! Go on, see what we’re offering here. RESTORATION OF FUN, OF POSITIVE VIBES ABOUT MATHS. Fresh every week. Emailed each Saturday. Direct to YOU! Well, probably (b) is the one front of mind at the moment. But SHOULD IT BE? Pressures abound on teachers — from co-ordinators, from the administration, from the curriculum gurus, from parents, from the community. All wanting the best for students. And the best for the school. Teachers need help. And support. And inspiration. And mentoring. And — time to think, time to relax and enjoy their careers, their hopes, their families, their hobbies. Go on, spoil yourself a little this week — and EVERY week. Yes! This is the last week of the summer holidays. Enjoy! But, at the back of every teacher’s mind is the approaching return to school for the new 2017 school year. And, for primary teachers across Australia, we have just the thing to make those first few Maths lessons just that little bit easier to tackle. 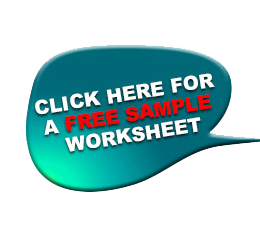 Just visit EdShop.net.au to request your FREE Maths worded worksheets for that all-important first week’s Maths lessons. They’re Aussie, fun to use, packed with current-affairs interest for the students, and make ideal Homework Sheets as well. One way to build a POSITIVE vibe in your Maths lessons, and it only costs $4. Try it out! Literally THOUSANDS of primary students around Australia are benefiting each and every week using this tremendous resource. Practical Maths Leadership materials in primary schools are hard to come by. And INNOVATIVE, CREATIVE Maths materials are even harder to find. BUT . . . they exist, they’re written freshly each week, and they’ll add a real, GENUINE SPARK to the way in which the children in your class think about Maths, right now and into the future. Give them a go! Just $4 and you’ll IMMEDIATELY receive this week’s Maths Pack via email. Just $4 to discover “Maths Gold”! Hey! Try these with your next Year 3/4 Maths lesson. FUN Maths questions that actually MEAN something! Q1. : Many “Pokemon Go” people were really upset when a Pokemon upgrade wiped out their 3-week scores. How many days’ records were lost for each player? Q2. : The new Harry Potter book sold out within just a few minutes at a huge department store, and Mike got very angry. They had advertised the book at $15, reduced from $45. How much EXTRA did Mike have to pay later to buy the book at full price? Q3. The Australian Census takes place on Tuesday night, August 9th. If there are 3 people who need to complete the form, and each person takes 28 minutes to fill in their section, how long does it take for the entire form to be completed? Many more where these came from! These questions were taken from this week’s FUN Maths Worksheets. For FREE 3-week trial for Years 3/4 or Years 5/6 visit www.EdShop.net.au Delivered tonight! Become your school’s MATHS HERO!